Headache CT head without contrast for acute (“worst headache of life”). Trauma CT head without contrast (acute). Suspected intracranial hemorrhage CT head without contrast. Acute neurological changes CT head without contrast. Subsequent study: MRI with and without contrast. Acute stroke/TIA CT head without contrast (if candidate for thrombolysis). Subsequent studies: MRI brain with /without contrast, MRA brain and MRA neck without and with contrast as indicated. Hydrocephalus CT head without contrast. Alternative: MRI with and without contrast (for acute process). Seizure First (New Onset) seizures: MRI Brain with and without contrast (CT Head if patient unstable /concern for ICH). Dementia / Memory loss MRI brain with & without contrast. Mass Brain MRI with & with out contrast. Aneurysm or AVM “Screening” MRA Head. CTA head with contrast for definition of small aneurysms, patients who can’t get MRA. Infection MRI without and with contrast. MRI contraindicated: CT without and with contrast. Trauma CT maxillofacial without contrast. Sinus disease CT sinus without contrast. If suspected orbital/intracranial involvement: MRI Brain and Orbits without and with contrast. Infection CT maxillofacial with contrast. Suspected orbit or brain extension: MRI Brain and Orbits (IAC protocol). Hearing loss, vertigo Developmental: CT temporal bones without contrast. Sensorineural: MRI IAC without and with contrast. Carotid or vertebral artery stenosis CTA neck with contrast. MRA neck without and with contrast. Carotid Doppler ultrasound. Mass CT neck with contrast. Thyroid nodule: neck ultrasound. Thyroid cancer: MR neck without and with contrast. Carotid or vertebral artery Dissection MRA neck without and with contrast (Dissection protocol). CTA Neck with contrast. Trauma CT thoracic spine without contrast. Acute neurologic deficit and CT negative: MRI without contrast. Pain, degenerative changes, radiculopathy MRI thoracic spine without contrast. Prior surgery: MRI T-spine without and with contrast. MRI contraindicated: CT without contrast or CT myelogram. Trauma CT lumbar spine without contrast. Acute neurologic deficit and CT negative: MRI without contrast. Pain, degenerative changes, radiculopathy, sciatica MRI lumbar spine without contrast. Prior surgery: MRI without and with contrast. MRI contraindicated: CT without contrast or CT myelogram. Mass MRI without and with contrast. Infection MRI without and with contrast. Chronic Dyspnea High resolution chest CT (HRCT). Hemoptysis Chest CT with contrast. If contrast contraindicated then chest CT without contrast may be ordered. Lung cancer-Noninvasive staging Chest CT with or without contrast if renal failure or PET/CT. Screening for pulmonary metastases CT chest with or without for initial evaluation or surveillance. Chest X-ray if performed as a baseline. Blunt chest trauma, suspect aortic injury CTA chest with contrast. Acute chest pain suspect aortic dissection CTA chest and abdomen is the definitive test to rule out aortic dissection. Suspected pulmonary embolism CTA chest with contrast. Alternative: When CT contrast contraindicated, consider ventilation/perfusion scan. Acute abdominal pain, fever, R/O Abscess CT abdomen and pelvis with contrast. 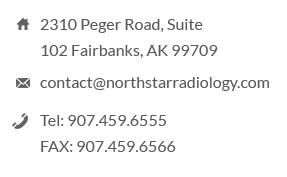 Note: MRI offers imaging without non-ionizing radiation and can provide information regarding ovarian pathology, PID, ectopic pregnancy and ovarian torsion. Pregnant patient with acute abdominal pain Ultrasound, if indeterminate then MRI Abdomen and pelvis without contrast. Pancreatitis Abdomen with contrast. Ultrasound to exclude gallstones. Blunt trauma stable patient CT Chest/Abdomen/Pelvis with contrast. Jaundice-painless CT pancreas protocol with contrast. Jaundice with pain/fever Ultrasound abdomen. Left lower quadrant pain CT abdomen/pelvis with contrast. Right lower quadrant pain suspected appendicitis CT abdomen/pelvis with contrast. Right lower quadrant pain-pregnant Ultrasound, obtain MRI if inconclusive. Right lower quadrant pain- children Ultrasound, obtain MRI if inconclusive. Right upper quadrant pain Ultrasound limited. If only gallstones present and no fever or elevated WBC then hepatobiliary scan. Suspected liver metastases CT or MRI with contrast. MRI should be first line study when indeterminate liver lesions found on ultrasound or CT. Suspected small bowel obstruction CT with IV contrast only if high grade or complete obstruction. Alternative: If partial or low grade obstruction suspected MRI enterography may be considered. Flank pain- suspected stone disease CT abdomen and pelvis without contrast (CTKUB). If recurrent symptoms of stone disease then CTKUB or ultrasound. Acute pyelonephritis CT abdomen and pelvis without and with contrast. Hematuria CT abdomen and pelvis without and with contrast. Order as CT-IVP which includes high resolution excretory phase imaging of the renal collecting systems and ureters. Incidental renal mass Either CT or MRI without and with contrast is appropriate.